Dr. Sharon Egretta Sutton Architect, Professor Emeritus at the University of Washington, Visiting Professor of Architecture at Parsons School of Art and Design, and more. 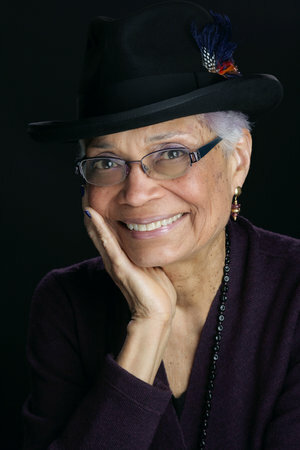 Dr. Sutton has just published a book When Ivory Towers Were Black: A Story About Race In America’s Cities And Universities about the student uprising that occurred at Columbia University’s School of Architecture in 1968 and in the changes regarding race within the Ivy League/7 Sisters educational establishment.. The book is completely relevant to what’s happening in the US in 2018 regarding race relations, racism, and where we want to go as a society. Dr. Sutton is fascinating to listen to, and her stories are all quite unexpected. Dr. Sutton’s new book is e\riveting, and relevant today because of the inspired social change the book documents, which is so needed today. Music by: Simone Daclon Trio, The Mitchell Ruff Duo, Aretha Franklin, Sly & The Family Stone, Isaac Hayes, and Soul Science Lab.